CD: Welcome to Frisked & Conquered. So who came up with the name? Jinny: Those goofballs over at ShatterStorm did, but I kinda like it, ya know? The very first girliesmut site for The Division. Woohoo! Nate: So why am I here? Magda: You? Why am *I* here? Kate: I don't think any of you would have the guts to hit on me. Raina: Oh, I don't know, Captain. I think you've still got some fire in you. Nate: *wanders off* Where'd I put that videocamera? Nick: *glancing back at Nate* Damn, he was cute. Wonder if he's taken? Greg: No way, Nick! I'm the cuter one... I wanna shot at him! Warrick: Is that all you can think about? Catherine: At least the hookers are safe for a while. Sara: You mean constipated, right? Dinah: This is so cool! 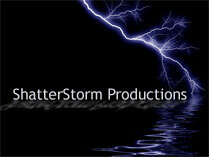 We're on a ShatterStorm Productions archive! Helena: Charming. Do we really wanna be here? Barbara: *arch look at Dinah* Do I even have to answer that question? Munch: Okay, how the hell did we all end up in the same place at the same time? Cops? Vigilantes? A CS unit? Something's up here. *glances around with a grin* Tho' there are some fine bodies to look at. Fin, my man, you are a godsend! I owe you bigtime for this. Fin: *shrugs with a sly grin* I told you, man. I *know* things. I know people. I got connections. Olivia: *licks lips and mutters* Mama wants a little sugar... *grins sheepishly* I mean, I haven't seen this much nakedness in one place in a while. Alex: *blatantly ogles Olivia* As long as it's legal, I'm game for anything you are, Olivia. 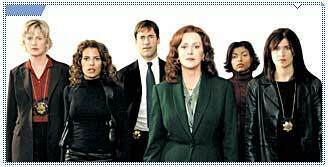 Olivia: Stabler, just shut up and live a little, hunh? Vicarious thrills and all that? You might even learn something to make Cathy happier. Who knows? 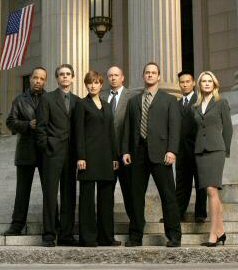 Cragen: *glances around* I think I'm gonna go talk to Dectective Brass. That might be safer than dealing with you. Elliot, you with me? George: *stares at Greg, whose still drooling over Nate* You know, I've always wanted to study the ramifications of homoerotica on the psyche. Elliot: Okay, even I know you need to get laid, Huang. Munch: Anyone seen that new redhead in the building yet? *notices Alex* Hey, Alex, what're you still doing here?